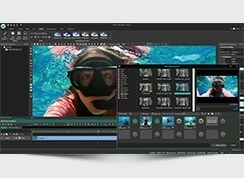 Flash-Integro announces VSDC Free Video Editor 3.0, a new update of its acclaimed video editing software. 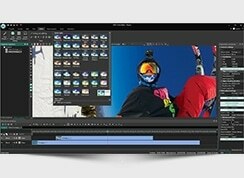 The new version redefines video editing by making it 100% non-linear. 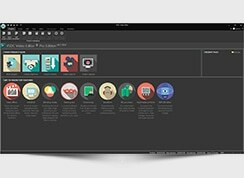 Practically, this means the program provides a lot of previously unavailable video editing options, while existing techniques have become faster and more efficient. While home video editing tools are usually simple, this doesn’t mean they can’t deliver decent capabilities. 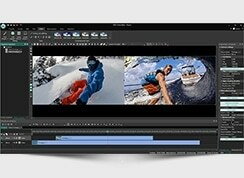 VSDC Free Video Editor 3.0 recently released by Flash-Integro proves this by enhancing its signature non-linear editing toward even higher flexibility. 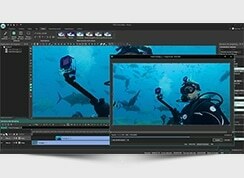 Non-linear editing, a key feature of the program, allows users to arbitrarily place objects and video fragments on the timeline and easily manipulate them. 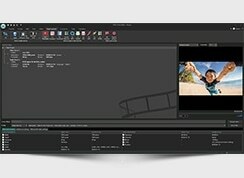 The new update of VSDC Free Video Editor goes further and provides a simpler and more intuitive way of handling objects and effects. Previously, objects and effects were controlled by constant or linearly changing values – position on the screen, rotation speed, intensity of a certain special effect, or a specific contrast value. Now, all those parameters (and dozens of others!) have become non-linear too. Instead of propagating multiple objects and effects in the project to achieve the desired goal, users can now simply adjust a few parameters or select a ready-to-go math function to program virtually any possible behavior. For example, to make an object pulsate – appear and disappear according to some pattern – previously a user had to add multiple Fade In and Fade Out effects, synchronize them on the timeline and adjust each effect object individually. Now, the same can be done in a minute by simply applying a proper, functional curve to the Transparency effect. In addition, the new approach allows for creating effects that were hardly achievable in the previous version of the editor or not achievable at all. Thanks to such truly non-linear freedom, users armed with VSDC Free Video Editor 3.0 can express creativity easier and achieve better results in less time. This, of course, is crucial for home video editing.